The scope of creation is continually growing with evolution of exceptional techniques such as Internet of Things in Mobile App Development space. We humans have already initiated a never ending approach towards a vision to make machines smarter enough to reduce the human labor almost to nil. And, the vision has got real in the form of Internet of Things enabled applications. The implementation of idea (inter-connected devices) has now become a possibility owing to the revolutionary IoT technique as well as Cloud-Based Technology. Both these techniques have helped companies to offer some of the smart applications to the users. These devices have, no doubt made our lives easier to a greater extent. They have helped in making the lives easier and our homes smarter. The wave of connectivity through IoT has moved beyond our homes (smart devices), laptops and smartphones. It has now reached to cars, connected health services, wearables and much more. The basic aim behind the expansion of this technique is the urge to remain connected to the services all through the day. The scope of connectivity is growing with such a tremendous speed that it is predicted to reach nearly to $20 billion by 2020. Here is a graph that shows the tremendous increase in this technology. With IoT enabled devices, we are moving towards a virtual world that has got 24*7 connectivity. The technique is also helping in bridging the gap between digital world and the users. These innovations are taking us to a fully automated world where connectivity means everything. 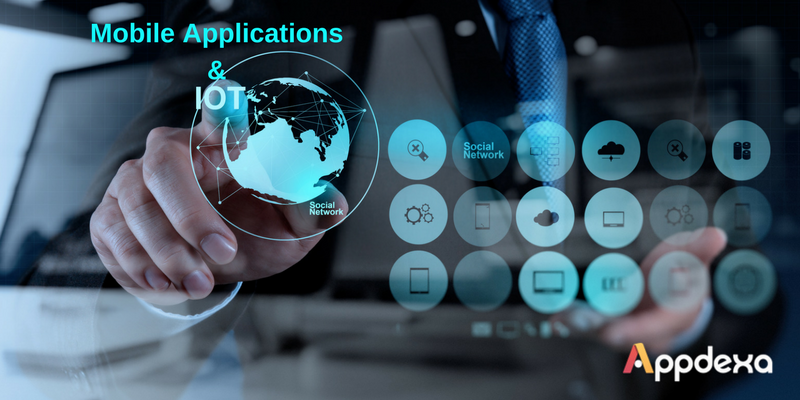 Let’s now unleash with us the real world mobile app examples of Internet of Things. The demand of wearables is a proof to the popularity of the visionary Internet of Things technology. Giant companies such as Google, Samsung, Amazon, Dell and many others have invested hugely in this technique. Wearable devices collect information and data about the users to provide the essential details about their health. These devices have majorly covered, health, fitness and entertainment sector. 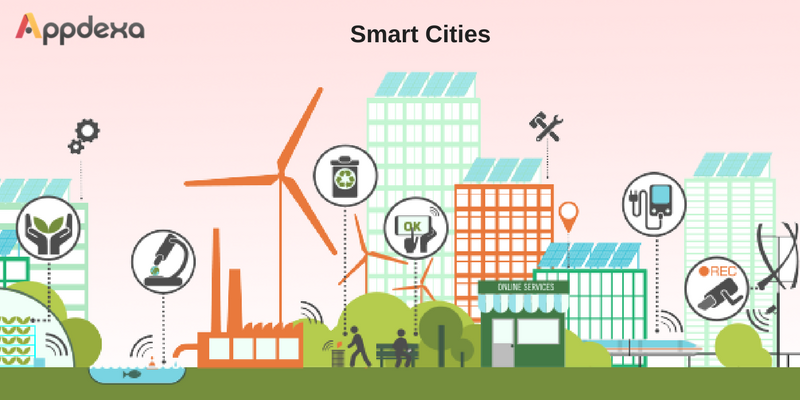 Smart cities are yet another powerful example of Internet of Things. The concept is already flourish in many metropolitan cities to offer much ease to the users. Right from smart surveillance to gen next energy management system and to automated transport, smart cities are becoming a big reality today. With smart cities the scope of IoT is growing exceptionally well. Won’t we love to have such a home that may control the temperature on its own, can manage the lighting and the locks? We would love to reside under such a heaven, won’t we? With the increasing use of IoT, the concept of smart homes is now a reality. Automated locks, pre-programmed lightings, ACs and smart-sensing home devices are some of the examples that use IoT. IoT in Healthcare has got great potential. This revolutionary technique is helping patients as well as medical professionals to have a great luxury in opting for healthcare facilities. Cloud based devices along with utilizing the goodness of IoT has helped mobile app developers create amazing apps. These apps have made it really easy to deliver services to the patients. Internet of things, as explained earlier is an amazing technology. And, as the developments are going, IoT will become more prominent. The future of IoT is much more promising and it is sure to connect a billion of things together contributing towards a world that is ever-connected.